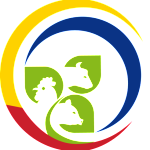 For tracking and quality purposes, our AGROCALIDAD code is EC07-AGCF-02-0784-1 and our Exporter code is EC07-AGCF-02-0784-2. The Fairtrade concept is all about ensuring that workers and farming communities receive in some of the poorest parts of the world receive a fair price for their produce and enjoy decent working and living conditions. 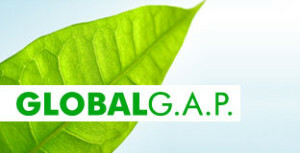 GLOBALGAP is a worldwide standard that assures Good AgriculturalPractices. It is a not-for-profit organization aiming to secure safe and sustainable agricultural production worldwide. GLOBALGAP sets voluntary standards for the certification of agricultural products around the globe, where producers, suppliers and buyers need to harmonize their standards to match. The goal of this certification is to create a universal standard to achieve safe production methods, using responsibly natural resources and securing welfare of workers and animals. It is now the world’s most widely implemented farm certification scheme. Customers for agricultural products now demand evidence of GLOBALGAP certification as a prerequisite for doing business as a way to get quality foods, produced safely and sustainably. Unlike other farm certification schemes, GLOBALGAP has definitive rules for growers to follow, and each production unit is assessed by independent third party auditors. These auditors work for commercial certification companies who are licensed by the GLOBALGAP secretariat to conduct audits and award certificates where merited.